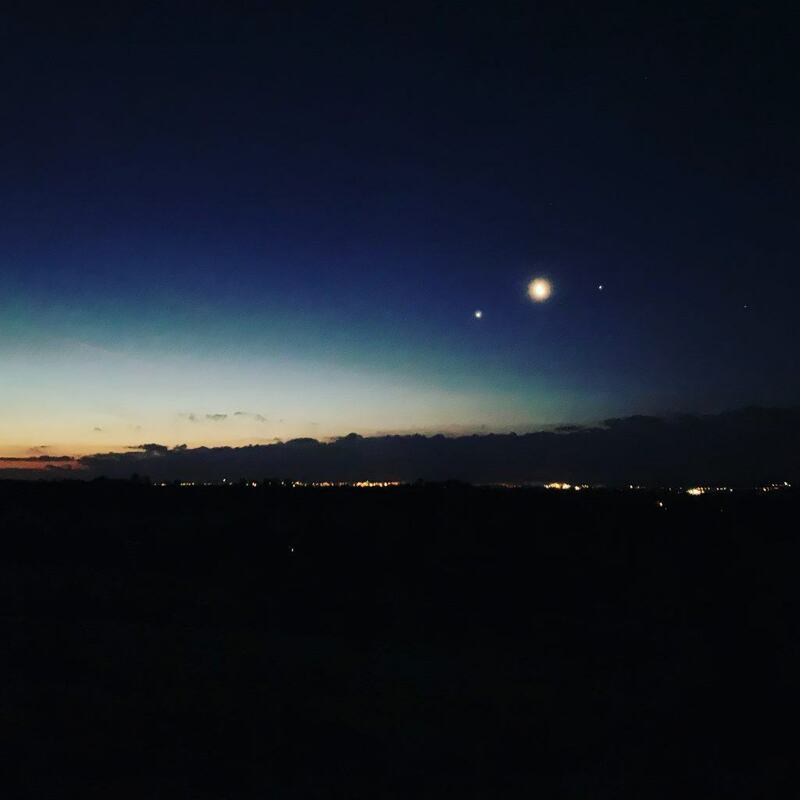 In this image the three brightest objects in the sky are, from left to right, Venus, the moon and Jupiter. Spotting Antares is interesting because it is a seasonal sign, and one that doesn’t seem to quite fit at this time of year. Antares is the brightest star in the constellation, Scorpius. (Scorpius is commonly misnamed Scorpio, which is the astrologer’s sign not the astronomer’s constellation). Antares is the brightest, orangey-red star. 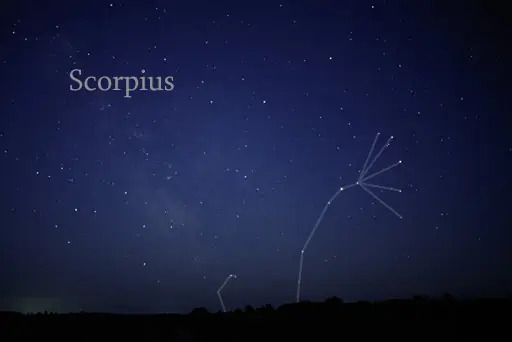 Scorpius is one of constellations that is associated with a season, in this case, summer, in the same way that Orion is associated with winter. The reason for this is that both Scorpius and Orion are easy to spot at certain times of year and impossible at others. In mid-summer Orion hides behind the sun and so is invisible and in mid-winter Scorpius also hides behind the sun. But by late January, Scorpius has overtaken the sun by just enough to be visible low in the southeastern sky on any clear pre-dawn. The stars overtake the sun by four minutes each day (365 x 4 minutes = 24 hours) and it will take Scorpius many more months before it is far enough ahead of the sun to be ruling the southern night skies after sunset. Until summer in fact. 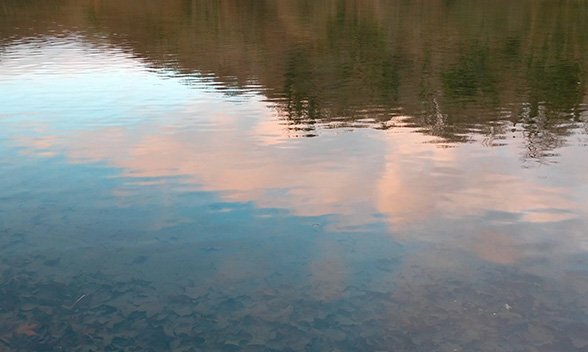 When we associate constellations with seasons, we tend to think of the stars we see after sunset, not the ones we see before sunrise and remembering this can help us make sense of seasonal surprises.